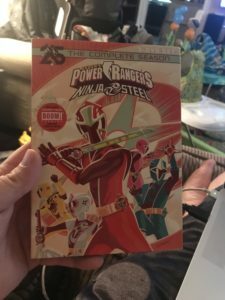 Power Rangers: Ninja Steel - DVD Review - ReDVDit! Power Rangers Ninja Steel is the twenty-fourth season of the long-running American children’s television program Power Rangers. 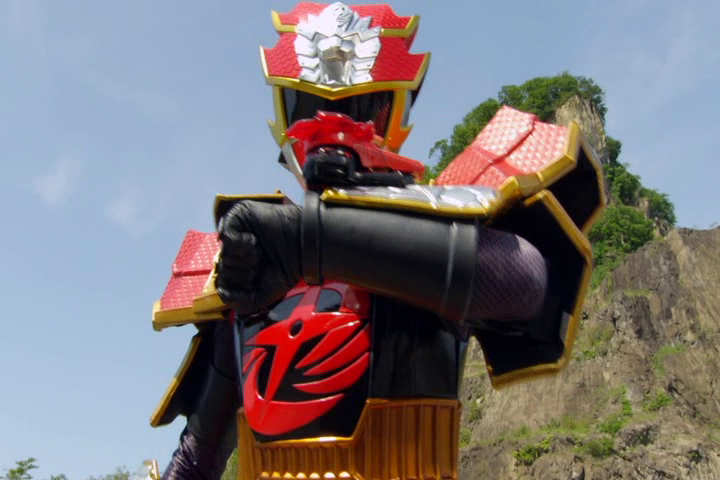 The season was produced primarily using footage, costumes, and props from the Japanese Super Sentai series titled Shuriken Sentai Ninninger with minimal costume and prop elements being recycled from Ressha Sentai ToQger. The show is produced by Saban Brands and premiered on Nickelodeon on January 21, 2017. The second season of Ninja Steel, and twenty-fifth Power Rangers season overall, known as Power Rangers Super Ninja Steel premiered on January 27, 2018. 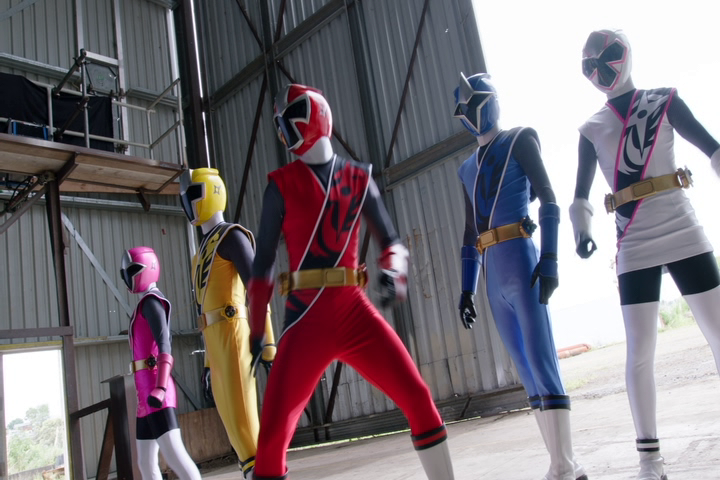 As the twenty-fifth anniversary of the franchise, Super Ninja Steel will feature popular Rangers from past seasons. 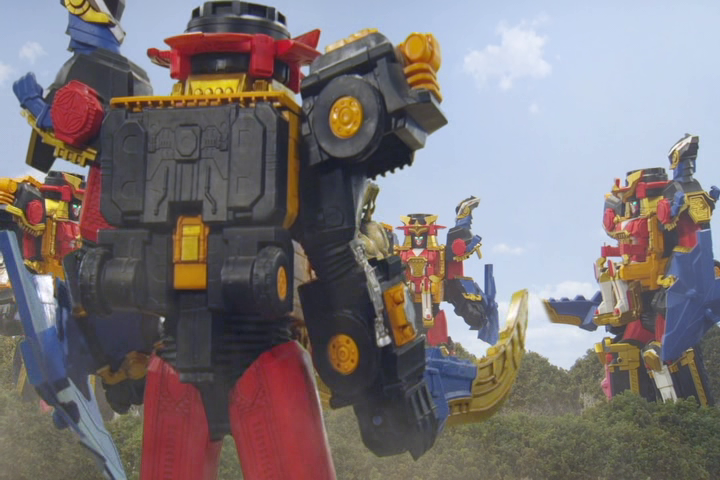 It is also the last Power Rangers series to have toys manufactured and distributed by Bandai as well as the last season to be produced by Saban Brands following the purchase of the franchise by Hasbro over May and June 2018. 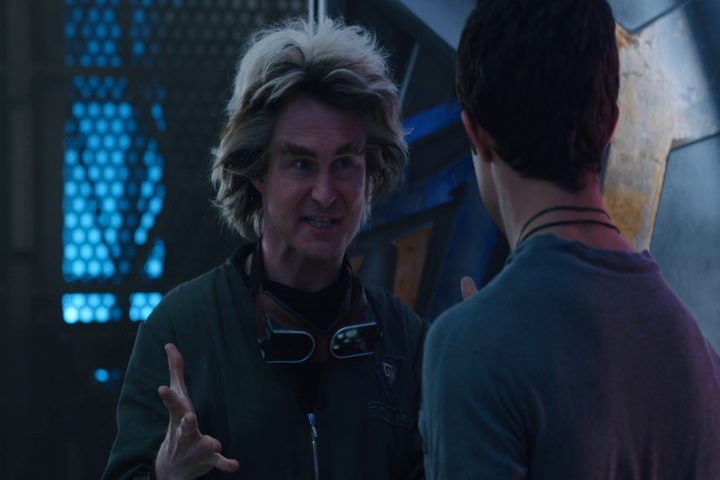 As someone who had obviously grown up with the Power Rangers Series, Ninja Steel is a continuation that really surprised me to see that it has been ongoing for ~25 years. With a story that’s obviously more appealing to a younger crowd, it continues to provide its viewers with similar aspects that we had as we grew up in the 90s. Things like the extremely cheesy bad guys, and off the wall and over-dramatic battle sequences with the rangers, this series continues to provide a very fun watch for those with child-like minds or who are currently living out their childhood years. While the stories aren’t anything that’s really noteworthy, I can definitely attest to the fact that this series provides a fun time for anyone who’s continued to be a fan of the saga. 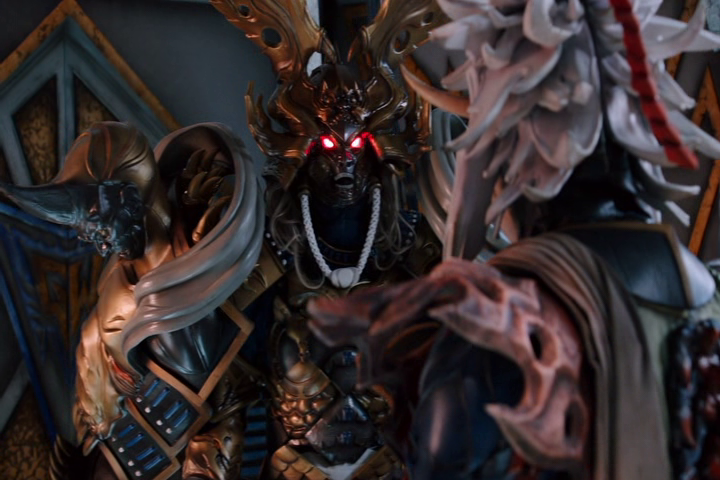 Despite being only made available onto DVD, Ninja Steel looked pretty decent as it played out across my living room television. 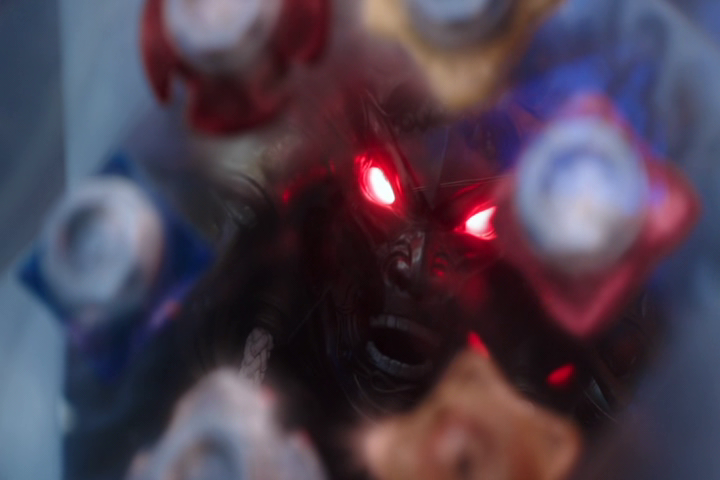 While it’s not nearly as good as it could have been had they opted to go with a Blu-ray release for this season, the use of the more updated recording techniques and technologies behind the camera allows for a better presentation, and a slightly better flow of the computer-generated effects into the natural scenery. The scenes that do feature footage from the Japanese counterpart continue to stand out more than those that were filmed stateside; but, I’m a firm believer that you’d have to be continuously following the series to enjoy those moments. 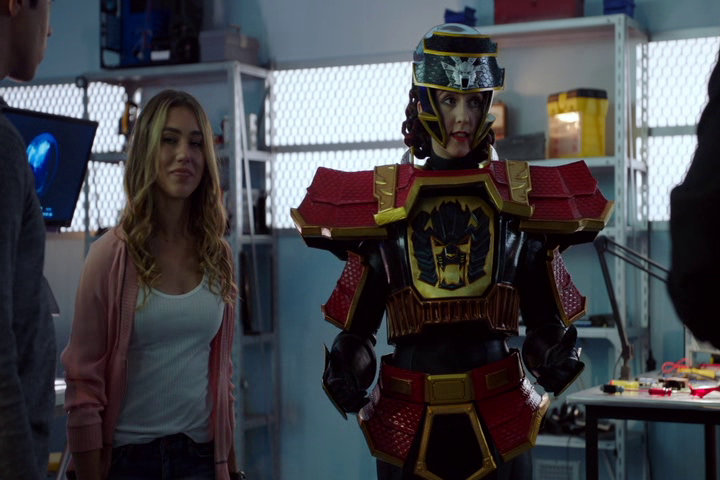 Packaged with a Dolby Digital 5.1 mix, Power Rangers Ninja Steel does everything that it can to offer a clean and powerful experience for its viewers. While the technology behind the audio track isn’t as good as it could have been, I can’t really complain all too much because this is a show that’s aimed more towards children, so they’re obviously not going to go all out with providing a lossless experience. There wasn’t any distortion experienced as I watched through this, and the dialogue was spoken clearly, allowing everything to be heard and understood without having to manually adjust the volume levels as it progressed. 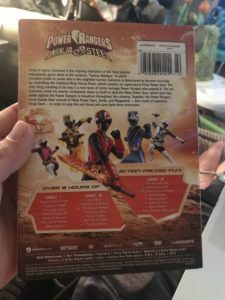 Power Rangers Ninja Steel comes packaged in your standard three-disc DVD amaray case. Within that case are the three DVDs that make up the series, each disc featuring a different piece of artwork that’s related to the series at hand, and completely different from that of the artwork that’s been provided on the case art; although they do use the same style of artwork for the discs. There are no digital copies included with this release; however there is a slipcover that’s been made available during the original pressing of the release that features the same piece of artwork that’s been provided on the case art. Additionally, there is an art booklet that’s been included, celebrating 25 years of the art behind the saga. Unfortunately, there are no special features included with the release of Power Rangers Ninja Steel. As a result, I have removed the rating from this section as it is not fair to rate something that doesn’t exist. As someone who’s grown up with the saga that is behind the Power Rangers, the fact that it’s continued onward for 25 years is something that surprises the hell out of me, and is something that I’m sure surprises the hell out of you too. The saga continues with its usual amounts of silliness and cheese factored into the battle sequences and episode story lines. While this particular season didn’t have nearly as much as an impact as the Mighty Morphin’ era of the saga, it’s definitely right on par with the experiences that I had throughout my childhood and look do look forward to sharing these episodes with my son once he becomes of age. The audio and video presentation of this release was the absolute best that you could expect from a DVD release, and while it isn’t anything that really shines, it is one of the better DVD releases that I’ve personally seen in years. Unfortunately, there aren’t any special features included with this release; which is quite the shame because I would have loved to have seen some additional features, whether it be behind the scenes footage or any kind of extended look at the story behind the season. If you’re considering grabbing this release for your collection, I can only recommend it if you too have been picking up the Power Rangers seasons as they come out for a complete set. Ninja Steel will be available on DVD beginning on Tuesday, August 14, 2018.